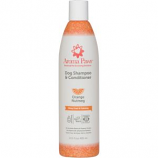 Aroma Paws is an All Natural, Chemical Free line of grooming products for dogs. They provide high quality grooming supplies that help animals with their health and wellness, enhancing the human-animal bonding experience, using earth derived ingredients, essential oils & botanical extracts. Their grooming solutions will help your pet look, feel and smell better. Developed for pets that suffer from allergies. Blended with the simplest combination of conditioning extracts and oils to effectively clean and treat your dogs skin & coat. Vegan & Gluten Free, pH Balanced & Tear Free. Contains NO: Parabens, Sulfates, Dyes, Alcohol, Salt, Nut or Grain Products. Gentle Formula for Sensitive Skin, A Fragrance Free, Hypoallergenic blend of Organic Cucumber, Olive Oil & Green Tea Extract, Gentle formula conditions without irritating sensitive skin. Developed for pets that suffer from allergies. Blended with the simplest combination of conditioning extracts and oils to effectively clean and treat your dogs skin & coat. Vegan & Gluten Free, pH Balanced & Tear Free. Contains NO: Parabens, Sulfates, Dyes, Alcohol, Salt, Nut or Grain Products. Allergen Free High Shine Deep Conditioning Pet Shampoo & Conditioner in One, High Shine Deep Conditioning Formula for Sensitive Skin, Blended with Organic Acai, Argan, Avocado & Jojoba Oils. Conditions dry, itchy skin & brittle fur. Organic Argan & Avocado oils are rich in essential fatty acids, Organic Jojoba oil provides shine & deep conditioning, Organic Acaí Extract is an antioxidant. Developed for pets that suffer from allergies. Blended with the simplest combination of conditioning extracts and oils to effectively clean and treat your dogs skin & coat. Vegan & Gluten Free, pH Balanced & Tear Free. Contains NO: Parabens, Sulfates, Dyes, Alcohol, Salt, Nut or Grain Products. Allergen Free Hot Spot Relief Dog Shampoo is a gentle, safe and effective shampoo for treatment of hot spots on dogs. Lavender & Cold Pressed Neem Oils calm and soothe hot spots, areas that your dog has been biting or gnawing and red, itchy, sensitive skin. 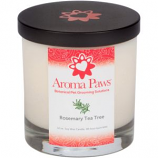 Aroma Paws 13.5 oz. Dog Shampoo & Conditioner in One Coconut Papaya: SensitiveSkin Formula Coconut Oil a natural moisturizer Papaya Extract conditions skin & coat Vanilla Bean Oil soothing, stress reliever Seagrass Extract purifies skin & increases circulation Seaweed Extract anti-inflammatory Great for Dogs with sensitive skin & very long coats, extra detangling abilities. A Chemical Free Product PH Balanced Eco-Friendly, Bio-degradable, & Tearless Formula Aroma Paws Shampoo & Conditioner is blended with Green Tea Leaf Extract for a shiny coat, Aloe Leaf Extract to soothe skin, and Sweet Almond & Coconut Oils to relieve dryness and detangle. Our all natural, CHEMICAL FREE cleansing agents will safely, gently and naturally cleanse your dogs skin & coat. 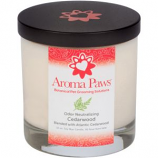 Aroma Paws 13.5 oz. Dog Shampoo & Conditioner in One- Eucalyptus Peppermisnt Energizing Formula A pH balanced Blend of Organic Honey, Colloidal Oatmeal & Pro Vitamin B5 Extra gentle, Safe & Effective (great for cats & small animals, too!) This Formula was designed for dogs with sensitive skin and allergies to the dyes and chemicals found in many pet grooming products. It contains Aloe Leaf Extract to relieve itching of sensitive or irritated skin & to soothe bug bites, Chamomile Flower helps restore pH balance to dog's skin & coat, Sweet Almond Oil softens skin, Organic Honey is an antioxidant & natural antimicrobial, and Green Tea Leaf Extract is a natural antioxidant. A Chemical Free Product pH Balanced Eco-Friendly, Bio-degradable, & Tearless Formula Aroma Paws Shampoo & Conditioner is blended with Green Tea Leaf Extract for a shiny coat, Aloe Leaf Extract to soothe skin, and Sweet Almond & Coconut Oils to relieve dryness and detangle. Our all natural, Chemical Free cleansing agents will safely, gently and naturally cleanse your dogs skin & coat. 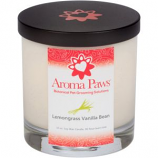 Aroma Paws 13.5 oz. Dog Shampoo & Conditioner in One A Chemical Free Product Geranium Orchid Sage: Moisture Rich, Anti-Itch Formula Geranium Oil balances dry skin Orchid Flower Extract protects skin from moisture loss Peony Extract antioxidant Rose Oil tones skin, reduces inflammation Clary Sage Oil relaxant Great for Older Dogs, Extra Emollients for Dry Skin PH Balanced Eco-Friendly, Bio-degradable, & Tearless Formula Aroma Paws Shampoo & Conditioner is blended with Green Tea Leaf Extract for a shiny coat, Aloe Leaf Extract to soothe skin, and Sweet Almond & Coconut Oils to relieve dryness and detangle. Our all natural, Chemical Free cleansing agents will safely, gently and naturally cleanse your dogs skin & coat. 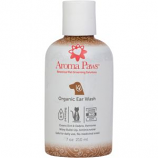 Aroma Paws 13.5 oz. Dog Shampoo & Conditioner in One Honeysuckle Jasmine: Dry Skin & Dandruff Relief Formula Honeysuckle Oil natural emollient Indian Jasmine Oil mood elevator, antiseptic Sweet Violet Oil helps reduce insomnia & stress Great for Itchy dogs, Provides extra relief for dry skin A Chemical Free Product PH Balanced Eco-Friendly, Bio-degradable, & Tearless Formula Aroma Paws Shampoo & Conditioner is blended with Green Tea Leaf Extract for a shiny coat, Aloe Leaf Extract to soothe skin, and Sweet Almond & Coconut Oils to relieve dryness and detangle. Our all natural, Chemical Free cleansing agents will safely, gently and naturally cleanse your dogs skin & coat. Aroma Paws 13.5 oz. Pet Shampoo & Conditioner in One Hypoallergenic & Fragrance Free A pH balanced Blend of Organic Honey, Colloidal Oatmeal & Pro Vitamin B5 Extra gentle, Safe & Effective (great for cats & small animals, too!) This Formula was designed for dogs with sensitive skin and allergies to the dyes and chemicals found in many pet grooming products. It contains Aloe Leaf Extract to relieve itching of sensitive or irritated skin & to soothe bug bites, Chamomile Flower helps restore pH balance to dog's skin & coat, Sweet Almond Oil softens skin, Organic Honey is an antioxidant & natural antimicrobial, and Green Tea Leaf Extract is a natural antioxidant. A Chemical Free Product PH Balanced Eco-Friendly, Bio-degradable, & Tearless Formula Aroma Paws Shampoo & Conditioner is blended with Green Tea Leaf Extract for a shiny coat, Aloe Leaf Extract to soothe skin, and Sweet Almond & Coconut Oils to relieve dryness and detangle. Our all natural,Chemical Free cleansing agents will safely, gently and naturally cleanse your dogs skin & coat. 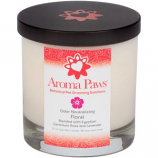 Aroma Paws 13.5 oz. Dog Shampoo & Conditioner in One Mandarin Green Tea: Shiny Coat Formula Mandarin Oil rids dog's coat of environmental build-up Green Tea Leaf Extract antioxidant Ginger Root improves circulation Great for Outdoor & Extra Dirty Dogs A Chemical Free Product PH Balanced Eco-Friendly, Bio-degradable, & Tearless Formula Aroma Paws Shampoo & Conditioner is blended with Green Tea Leaf Extract for a shiny coat, Aloe Leaf Extract to soothe skin, and Sweet Almond & Coconut Oils to relieve dryness and detangle. Our all natural, Chemical Free cleansing agents will safely, gently and naturally cleanse your dogs skin & coat. Aroma Paws Canine Aromatherapy Massage Oils provide a great way to bond with your dog while nurturing their skin & coat with soothing ingredients. Use of proper dog massage techniques can comfort & relax, help aid digestion and improve circulation. After massage, you can wrap your dog in a warm towel for further relaxation and absorption of ingredients. Vegan, Cruelty Free, No Synthetic Ingredients. Organic Dog Perfume made with All Natural Ingredients, Perfect Size to Carry in Your Purse or Dog Carrier, Use them on your furry companion (or on yourself, they're made with human grade ingredients and they're De-LISH!) Made with All Natural Shea & Aloe Butters, a Blend of Botanical & Essential Oils, Purified Beeswax, Grapeseed, Sweet Almond & Apricot Kernel Oils, Vitamins A, E & F, Rub a small amount on the top of your dog's head and neck. Avoid eyes, ears & nostrils. Aroma Paws Dog Perfume is concentrated. Please use caution if your dog has very sensitive skin. Store in a cool, dry place. Aroma Paws 13.5 oz. Dog Shampoo & Conditioner in One Orange Nutmeg Vetiver: Shiny Coat & Calming Formula Sweet Orange Oil naturally calming & detoxifying Honey antioxidant & antimicrobial Nutmeg Oil natural antiseptic Vetiver Oil calms aggression Great for Calming Aggressive Dogs, Sweet Orange Oil is known as the "Happy Oil" A Chemical Free Product pH Balanced Eco-Friendly, Bio-degradable, & Tearless Formula Aroma Paws Shampoo & Conditioner is blended with Green Tea Leaf Extract for a shiny coat, Aloe Leaf Extract to soothe skin, and Sweet Almond & Coconut Oils to relieve dryness and detangle. Our all natural, Chemical Free cleansing agents will safely, gently and naturally cleanse your dogs skin & coat. 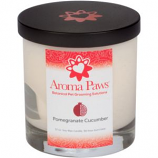 Aroma Paws 13.5 oz. Dog Shampoo & Conditioner in One- Organic Olive Oil, Oatmeal Free, Ultra Sensitive Skin Formula A pH balanced Blend of Organic Honey & Pro Vitamin B5. Extra gentle, Safe & Effective (great for cats & small animals, too!) This Formula was designed for pets with sensitive skin and allergies to the dyes and chemicals found in many pet grooming products. It contains Aloe Leaf Extract to relieve itching of sensitive or irritated skin & to soothe bug bites, Chamomile Flower helps restore pH balance to dog's skin & coat, Sweet Almond Oil softens skin, Organic Honey is an antioxidant & natural antimicrobial, and Green Tea Leaf Extract is a natural antioxidant. A Chemical Free Product PH Balanced Eco-Friendly, Bio-degradable, & Tearless Formula Aroma Paws Shampoo & Conditioner is blended with Green Tea Leaf Extract for a shiny coat, Aloe Leaf Extract to soothe skin, and Sweet Almond & Coconut Oils to relieve dryness and detangle. Our all natural, Chemical Free cleansing agents will safely, gently and naturally cleanse your dogs skin & coat. 2 oz. 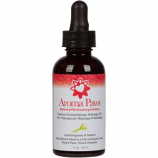 Paw Conditioning Treatment Nurture Your Dog's Paws with Aroma Paws Paw Conditioning Treatment Aroma Paws Paw Conditioning Treatment will help protect your dog's paws from everyday wear and tear. All ingredients are human grade and luxurious! From our rich & soothing Shea & Aloe Butters to the Pure & Natural Sweet Almond, Grapeseed & Golden Jojoba oils, this Paw Conditioning Treatment is sure to relieve your dog's cracked, dry & rough paws (and nose, too!) Use daily, before walks along with Fur Conditioning Treatment with Sunscreen. Organic, All Natural & Eco-Friendly. Aroma Paws 13.5 oz. Dog Shampoo & Conditioner in One Pomegranate Cucumber: Fluffy Shiny Coat Formula Pomegranate Extract moisturizer & antioxidant Cucumber Extract moisturizer and astringent Lemongrass Oil aids natural shine Peppermint Oil helps relieve itching Great for Any Dog, Adds Extra Fluff & Shine A Chemical Free Product PH Balanced Eco-Friendly, Bio-degradable, & Tearless Formula Aroma Paws Shampoo & Conditioner is blended with Green Tea Leaf Extract for a shiny coat, Aloe Leaf Extract to soothe skin, and Sweet Almond & Coconut Oils to relieve dryness and detangle. Our all natural, Chemical Free cleansing agents will safely, gently and naturally cleanse your dogs skin & coat. Aroma Paws 13.5oz. Dog Shampoo & Conditioner in One Vanilla Lemongrass: Natural Coat Brightener Formula Vanilla Bean Oil soothing, stress reliever Lemongrass Oil aids natural shine Pink Grapefruit astringent & coat cleanser Rose Oil tones skin, reduces inflammation Great for Dogs with Light Colored Fur a Chemical Free Product PH Balanced Eco-Friendly, Bio-degradable, & Tearless Formula Aroma Paws Shampoo & Conditioner is blended with Green Tea Leaf Extract for a shiny coat, Aloe Leaf Extract to soothe skin, and Sweet Almond & Coconut Oils to relieve dryness and detangle. Our all natural, Chemical Free cleansing agents will safely, gently and naturally cleanse your dogs skin & coat. Aroma Paws 6.5 oz. Vegan Fur Conditioning Treatment with Sunscreen Aroma Paws Fur Conditioning Treatment is 100% Vegan and blended with Avocado Oil, Organic Aloe Vera Juice, & All Natural Refined Shea & Mango Butters to fully condition & restore shine to your dog's skin & coat. This Luxurious Conditioner is meant to be used on a dry coat daily or anytime coat lacks shine. We have formulated this conditioner to be non-greasy and to easily absorb into skin & coat. A little conditioner goes a long way. Simply rub a little in your hands then rub down the length of your dog's coat. If your little one has been scratching or biting, rub generously onto skin (they'll love the massage) until completely absorbed. For cracked or chapped noses, also try Aroma Paws Paw Conditioning Treatment. Aroma Paws 4.5 oz. Deodorizing Dog Coat Spray Geranium Orchid Sage Use in Between Baths for a Shiny Coat & Amazing Fragrance, A Chemical Free Product, Ph Balanced, Eco- Friendly, Bio Degradable Bottle, Aroma Paws Deodorizing Dog Coat Spray is blended with Green Tea Leaf Extract for a shiny coat, Aloe Leaf Extract to soothe skin, and Sweet Almond & Coconut Oils to relieve dryness. Spray liberally and brush into coat. All Natural Repellant Shampoo & Conditioner in One Blended with the Essential Oils of Eucalyptus, Peppermint, Tea Tree, Lavender, Lemongrass & Clove. Eucalyptus, Lemongrass & Clove oils deter pests Lavender & Peppermint Oils help soothe bug bites Tea Tree oil is an all natural antibacterial. PH Balanced Eco-Friendly, Bio-degradable, & Tearless Formula Aroma Paws Shampoo & Conditioner is blended with Green Tea Leaf Extract for a shiny coat, Aloe Leaf Extract to soothe skin, and Sweet Almond & Coconut Oils to relieve dryness and detangle. Our all natural, Chemical Free cleansing agents will safely, gently and naturally cleanse your dogs skin & coat.